Phoebe Wycherly was missing two months before her wealthy father hired Archer to find her. That was plenty of time for a young girl who wanted to disappear to do so thoroughly--or for someone to make her disappear. 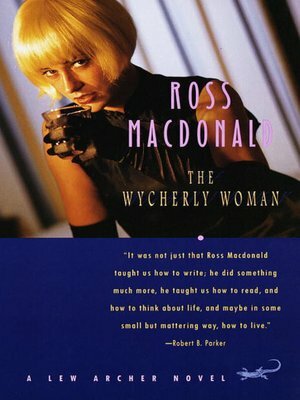 Before he can find the Wycherly girl, Archer has to deal with the Wycherly woman, Phoebe's mother, an eerily unmaternal blonde who keeps too many residences, has too many secrets, and leaves too many corpses in her wake.